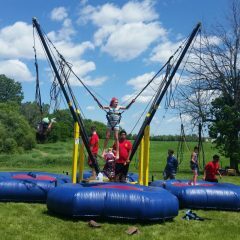 Soar through the air with the greatest of ease! 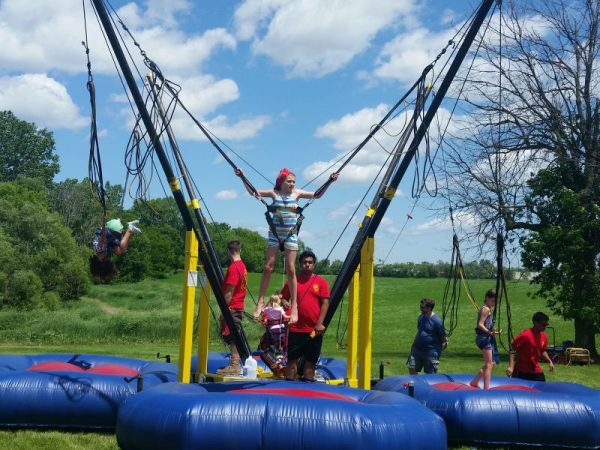 Watch in amazement as your guests fly through the air like a graceful trapeze artist! 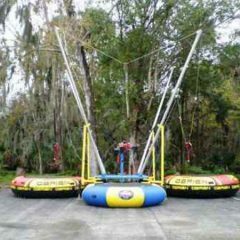 Guests will wear safety harnesses with bungee cord attached to overhead support beams extending from a center base while enjoying high energy fun. 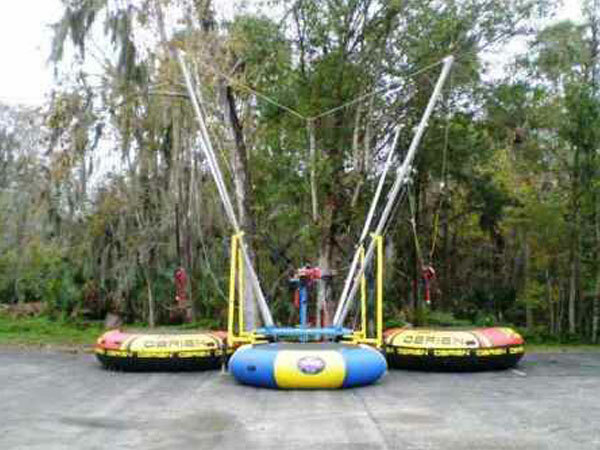 They’ll be coached by our staff as they bounce up into the air on this remarkable ride. Choose to have 2, 3 or 4 participants cruising up, down, and flying at once! 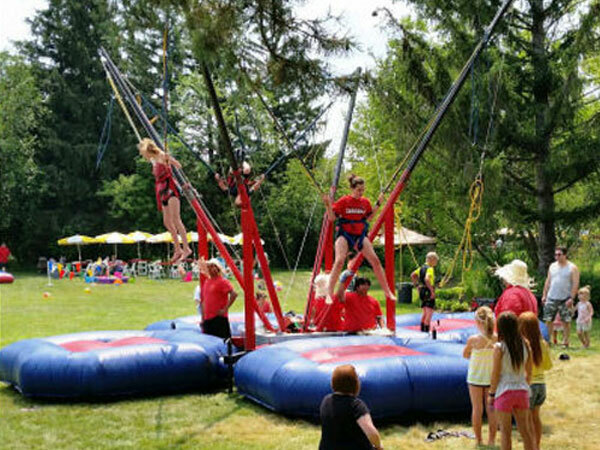 Suspended from individual bungees and using separate resilient trampolines at their feet, guests can bounce up to 20′ into the air, flip and turn while gracefully supported. This is the ultimate thrill ride! See the crowd gather to watch! 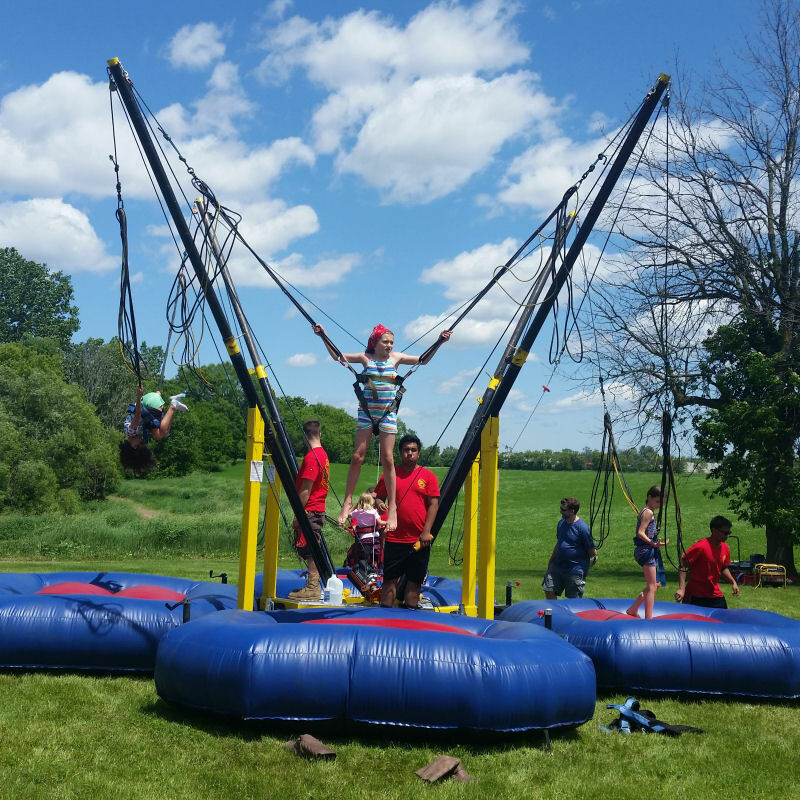 The bungee trampoline is a trailer hitched piece of equipment. It is best used outdoors or in a large indoor facility with high ceilings that can be driven into. 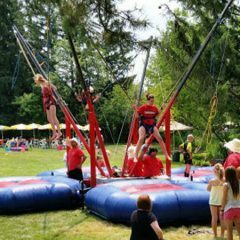 Clowning Around & Celebration Authority’s pro quality Bungee Trampoline is a fantastic addition to all types of events including festivals, carnivals, picnics, fun fairs, block parties, company events and much more. Requirements: 2 station - 2 20 amp circuits, 4 station - 3 20 amp circuits.